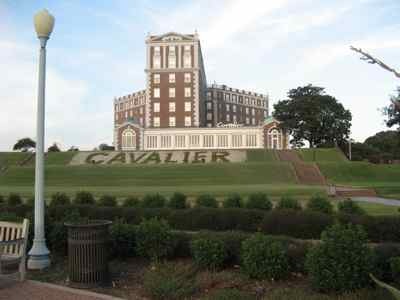 Cavalier Hotel, Virginia Beach, Virginia... another stately hotel! We've finally been to all 50 states. We had a long weekend... a very long weekend! And we decided to go to Arkansas. Why Arkansas? Because it was the only state we hadn't been to... so now, yes, we've been to all 50 states. I think that's important because many times people will say, "Why do you travel to all these foreign countries... why don't you explore the U.S.?" Well, we have. We love our international adventures, but we love our U.S. states too... How may people can say they've visited all 50 states? The reason that Arkansas was the last state we visited certainly wasn't because there was nothing worth seeing... there was. It was last only because it really wasn't on routes we traveled. We flew into Little Rock. 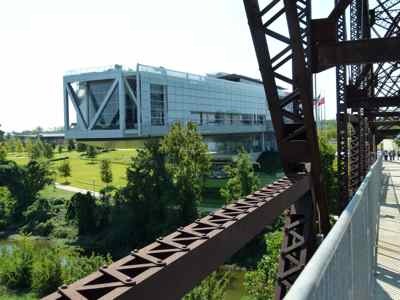 I have to admit, we didn't really take the time to explore it like we should have... we did a drive by tour.... but we saw the Clinton Library, the Capital building, and the Governor's Mansion. We also drove by Central High School. We're just old enough that we remember watching the news about integration when Central High School was... well, at the center of that! Then we drove to Hot Springs. Did you know that Hot Springs National Park is unique in that it is really right in the middle of the city? building is in an old bathhouse, the Fordyce Bathhouse, and you can walk around the facility and see how people used to "take the waters". 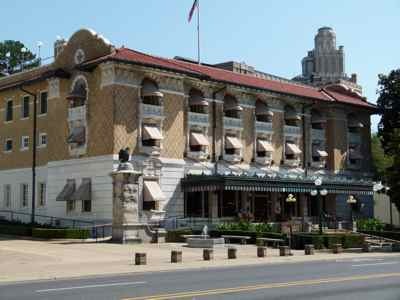 We ended up staying at the Arlington Hotel which is a stately historic hotel at the end of bathhouse row. It's one of those grand old hotels that can boast that presidents stayed there, as well as other famous and infamous patrons. I mean, the Arlington has stories about Al Capone staying there. Hey, at the Arlington, we stayed in Room 441... little did we know that Al Capone's favorite room was 442!!! 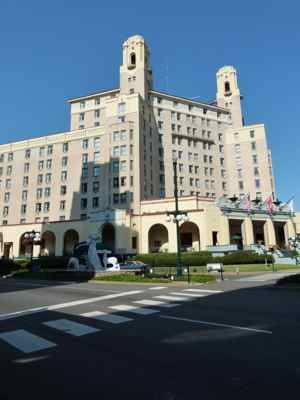 We stayed at the Cavalier Hotel in Virginia Beach... and we got another list of President's who stayed there as well as movie stars and other celebrities. Neither of those stately hotels was particularly expensive... which just goes to show that you should NOT always avoid big hotels... and that travel in the U.S. can really be a travel bargain. We had a great time... and now we can say we've been to Arkansas... and all 50 states!